With a seating plan in your event, your customers can book the desired seat, standing room or parking space for their event. On request, it can even be prevented whether a single seat between already booked seats may remain free or not. Whether folk festival, theater or restaurant – your guests can comfortably book their table while on the go. Whether only whole tables or even a few places can be booked, you decide. 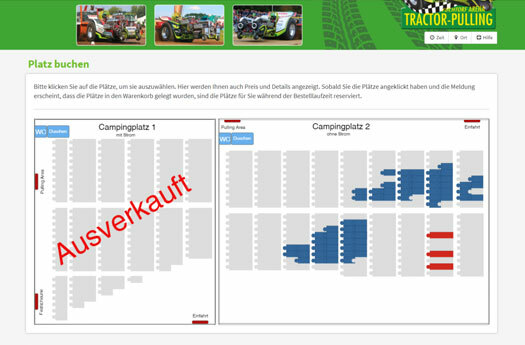 In the hall plan you can offer any number of categories and price ranges. Optionally, you can even put different tickets on a seat or table, so that your guest can choose between “full-paying” and “discounted”, for example. We will take care of setting up the seating plan for you. But they have full control at all times and decide which seats and tables to sell or to exclude from sale.